At any music festival, sustenance is a major key to longevity. 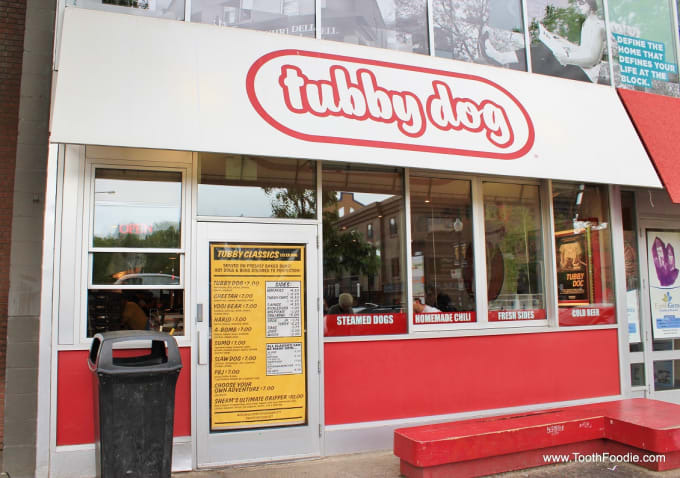 If you’re hungry (like, really hungry), we recommend checking out Tubby Dog, a Calgary staple known for their over-the-top approach to hot dogs, burgers, and tacos. Tacos are available on Tuesdays, burgers on Wednesdays, and their gourmet hot dog menu is available every day. Their signature Tubby Dog comes with chili, bacon, cheese, onions, and mustard, but you can take it up a notch with Sherm's Ultimate Gripper: a dog wrapped in bacon, deep fried, and topped with ham, chili, cheese, mustard, more bacon, hot peppers, onions, and a fried egg. What, you can’t handle a deep-fried hot dog wrapped in bacon? Maybe an Instagram-opp that’ll make your foodie friends jealous is more your speed. Look no further than Shokunin. Specializing in yakitori, grilled meats, and ramen, this Japanese-inspired spot is a no-waste restaurant, meaning they use every part of every ingredient, from “beak to tail.” Their beautifully executed small plates are great for sharing. Roll up to their late night ramen takeout window, or stop in for a crafted cocktail. In terms of brunch options, you might want to scout out the Yellow Door Bistro, which has an incredible weekend breakfast buffet for $24. If gluten is your jam, Sidewalk Citizen Bakery makes all of their delicious breads, pastries, and desserts in house. If coffee is a must, visit the award-winning Phil & Sebastian Coffee Roasters. They source all of their beans directly from farmers. If you take your coffee seriously, this is the place to go. Beer and music festivals go hand-in-hand. The craft beer scene in Calgary is relatively new, but thriving. Book a tour or a tasting at The Village Brewery, or visit The Dandy Brewing Company, Calgary’s premiere nano-brewery. Their tiny facility is certainly nano, but the beers are delicious, and their 20-seat tasting room has a cozy atmosphere, perfect for sampling one (or three, or four) of their custom brews.